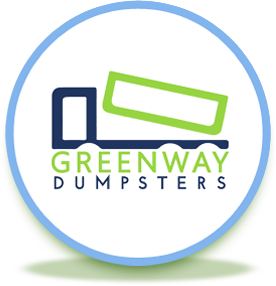 Greenway can make your life easier when it comes to dumpster rental services. It is just trash Plain and Simple. Ideal where space is limited. These size dumpsters are mostly utilized by homeowners, contractors and businesses who are undertaking small scale renovations. This is our most popular roll-off container size! This size is ideal for new construction, smaller demolition projects, junk removal or a garage that hasn't been cleaned in years. The best bang for the buck. Designed for medium-to-large projects, interior remodeling, or de-cluttering. It's the optimal dumpster size for trash removal during your next renovation. The largest dumpster offered, often used for landscape clearing, demolition, fires, and other large scale projects. Wide selection of dumpster container sizes available.